Steve Chmilar is showing his work along with Brad Pasutti (love), Horst Loewel and Haren Vakil. 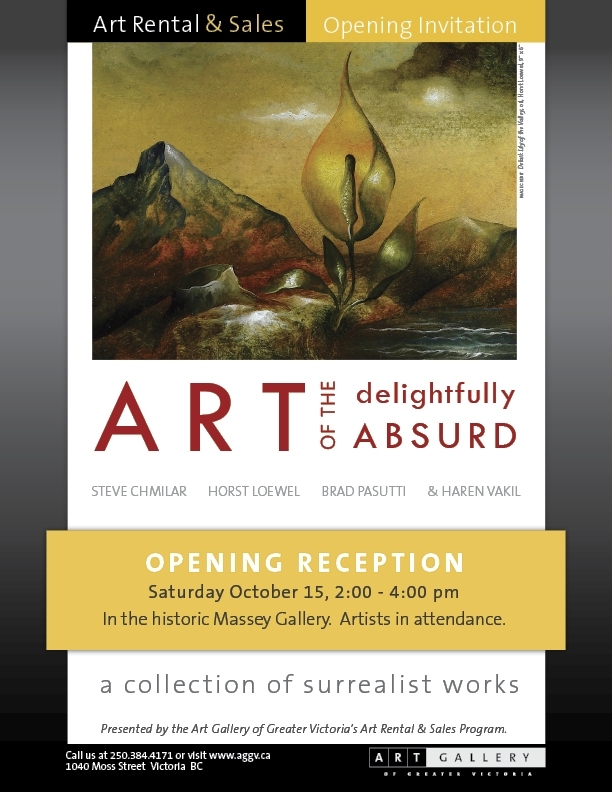 What: Art of the delightfully Absurd Where: Art Gallery of Greater Victoria When: Saturday, October 15, 2011 | 2:00-4:00pm In the historic Massey Gallery. Artists in attendance. New York City Squirrels, Tony Bennett, Nick Cave, Noah Becker w/ Jim Dâ€™Amato, Salomon Contemporary, +++ all during UN week New York 2011. 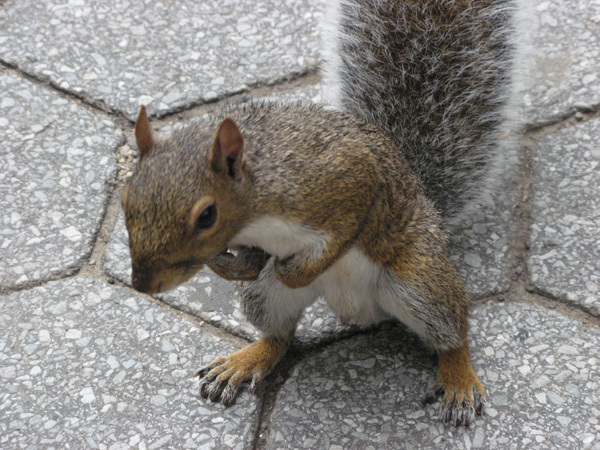 Comments Off on New York City Squirrels, Tony Bennett, Nick Cave, Noah Becker w/ Jim Dâ€™Amato, Salomon Contemporary, +++ all during UN week New York 2011. QR Code Artist website – Geisha Girl Squirrel getting out there! Comments Off on QR Code Artist website – Geisha Girl Squirrel getting out there!